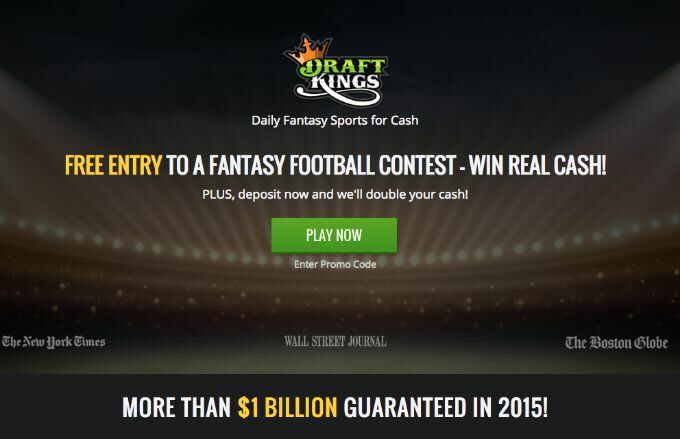 If you watched any NFL games over the weekend, or if you&apos;ve ever listened to a comedy podcast, then you&apos;ve been bombarded with advertisements for daily fantasy sports sites like FanDuel and DraftKings. It seems like fun, right? Pick your lineup based on the salary cap restrictions, compete either in a large contest or simply head-to-head against someone else, watch the games, and watch the cash roll in. Except just like anything related to gambling, it&apos;s really not that simple. The folks at Bloomberg Businessweek went in depth to show you just how screwed you are if you think you have a shot at winning money on anything resembling a consistent basis. The money-losing players tend to get lucky, win a few times, reinvest the prize money, and eventually lose. If you look at these contests as nothing more than an inexpensive form of entertainment and a way to make the games more interesting, then obviously there&apos;s no harm done. But play responsibly kids, because the odds are stacked against you, to say the very least.